Gail Wackerle remembers: It did a fantastic job, in the summer. 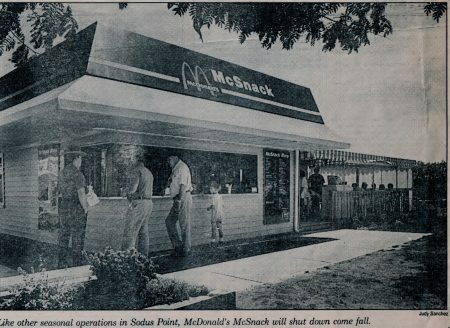 I remember when they opened. We were all thrilled. It didn’t last long. The summer was very busy. I believe they closed for winter & reopened in the spring. It was a long time ago. Now every one is lucky to have Hots Point. 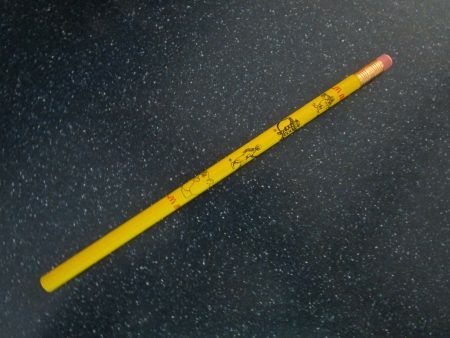 Is this the Sodus Point McSnack’s pencil that was launched into orbit aboard the Space Shuttle Columbia to become the first commercial item ever placed in orbit? No…. but it is a Sodus Point McSnack pencil as photographed on our kitchen counter. Pencil courtesy of Kelly Grey!